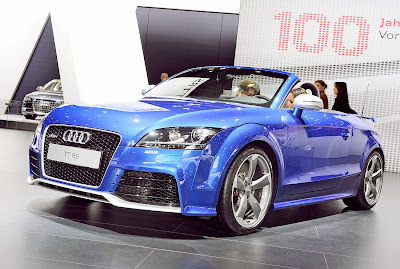 As many Audi fans will know, this year's Geneva Motor Show was the official world debut of the Audi TT RS. However, we were only able to take in the sights of the Audi TT RS Coupe. The roadster was on display at the 2009 AMI Motor Show in Leipzig, Germany. Here are a few pics from the event.